This recipe was created to use in place of whipped cream. 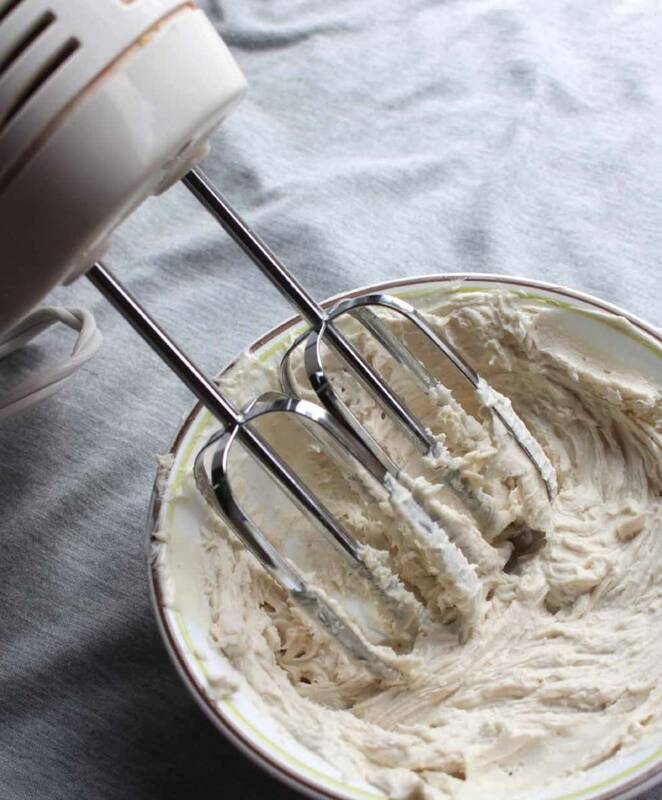 Those of you who are dairy free will be so delighted wit this neutral-tasting whipped cream! It doesn’t have a strong cashew or coconut flavor. After many failed attempts, I FINALLY found the right combination of ingredients, and it opened up a whole new world of possibilities for me! Put everything except xanthan gum into blender and blend well, until mixture is no longer grainy. Scrape the side often. Slowly sprinkle in xanthan gum and blend a bit longer. Refrigerate for at least 8 to 10 hours. Whip with hand beater. Use immediately or refrigerate again. simply re-whip when ready to use. It will melt a bit faster than dairy, so either store your frosted desserts in refrigerator or in a cool place.